A chilling, compulsively readable novel of psychological suspense from the author of Little Face and The Carrier Sally Thorning is watching the news with her husband when she hears a name she never thought she'd hear again: Mark Bretherick. It's a name she shouldn't recognize. Last year, a work trip Sally had planned was canceled at the last minute. Desperate for a break from juggling her job and a young family, Sally didn't tell her husband that the trip had fallen through. Instead, she treated herself to a secret vacation in a remote hotel. While she was there, Sally met a man—Mark Bretherick. All the details are the same: where he lives, his job, his wife Geraldine and daughter Lucy. Except that the photograph on the news is of a man Sally has never seen before. And Geraldine and Lucy Bretherick are both dead... With the international bestseller Little Face, Sophie Hannah established herself as a striking new voice in psychological suspense. The Wrong Mother, a riveting exploration of a mother's unspeakable betrayal, confirms her reputation as a master of the form. Sally Thorning is watching the news with her husband when she hears a name she never thought she'd hear again: Mark Bretherick. With the international bestseller Little Face, Sophie Hannah established herself as a striking new voice in psychological suspense. 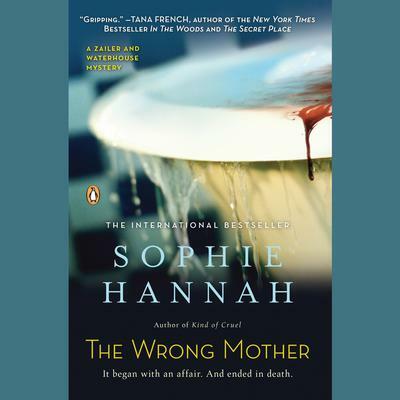 The Wrong Mother, a riveting exploration of a mother's unspeakable betrayal, confirms her reputation as a master of the form.